This past weekend, Kim Kardashian posted a photo of her own daughter, Chicago West, alongside her nieces, True Thompson (Parents: Khloe Kardashian & Tristan Thompson) and Stormi Webster (Parents: Kylie Jenner & Travis Scott). The photo of the next generation of the Kardashian clan was the first photo on social media of the three cousins all together and therefore drew a lot of buzz. While there are countless comments under the Instagram post saying “They are so damn cute” and “This just melts my heart”, there are also numerous cruel comments directed towards the youngest of the group, True Thompson. 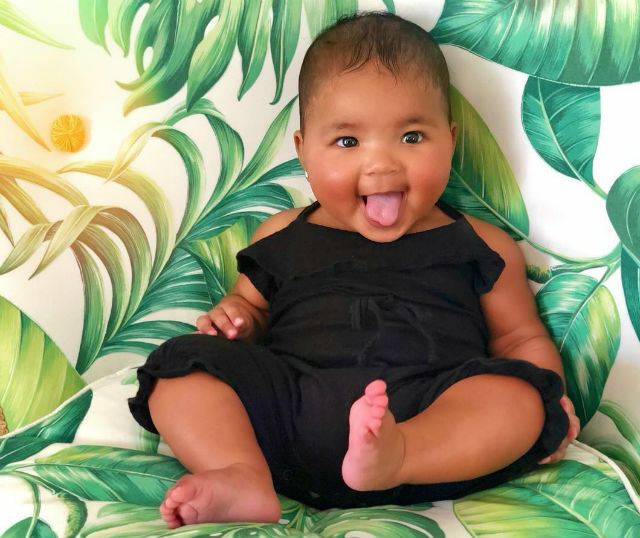 Television Personality, Khloe Kardashian and NBA player, Tristan Thompson welcomed their beautiful baby girl earlier this year on April 12. Khloe’s ethnicity is Dutch, English, Irish, and Armenian American, while Tristan is of Jamaican heritage. While True’s fellow cousins are also mixed and have African-American fathers, they have a lighter complexion than True. Because of this, a lot of people have made cruel and disgusting comments about True’s skin tone after seeing all three girls side by side. These type of comments aren’t only on Kim’s post either, but are also underneath the posts of media and news companies that reposted the photo. People from all ethnicities have taken to social media to hide behind their profiles and spew hate at a young black gorgeous baby. 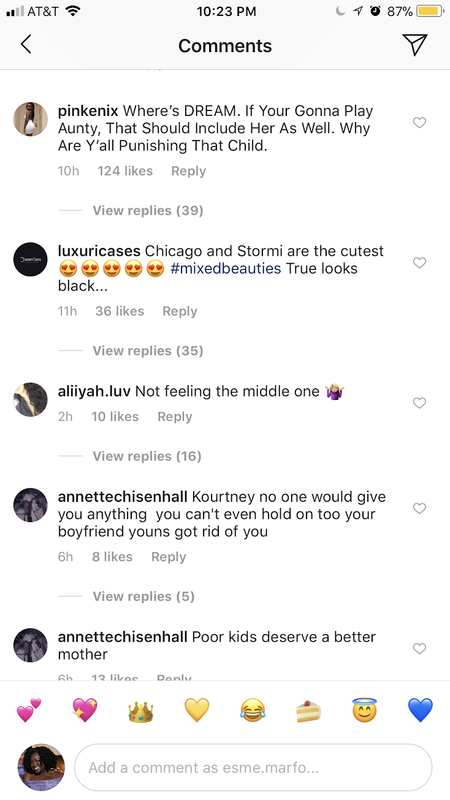 These comments are proof that colorism exist for people who don’t believe. 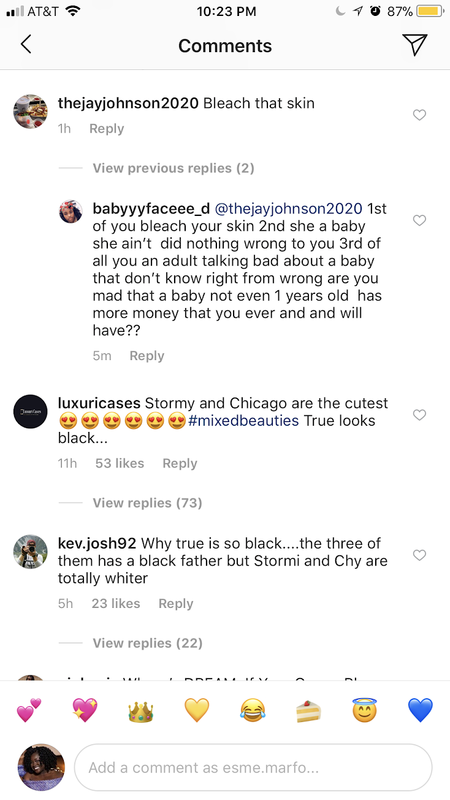 There is no reason that in this day and age comments such as “I hate that True is so dark, the other two are a nice mix….she’s a cute kid just too dark” should be made about a baby who can’t even walk yet. 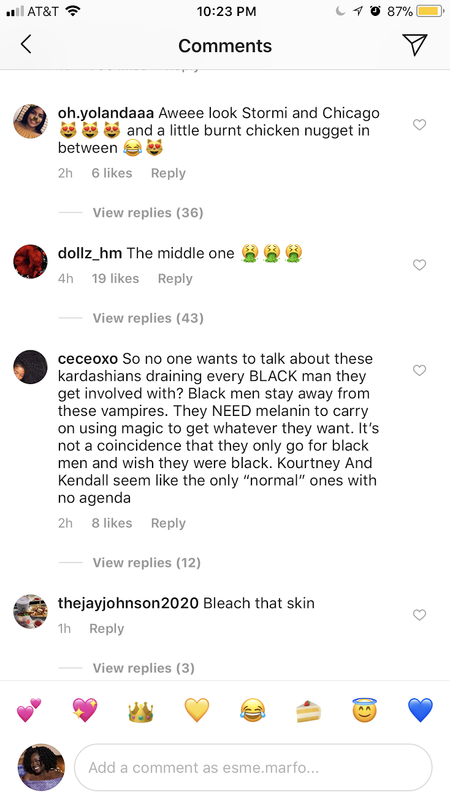 And these comments are just a glimpse of the hate and comparisons that this little girl will have to endure the rest of her life just because she has too much melanin for some’s liking. True isn’t the only black celebrity child that has faced scrutiny in the public eye. 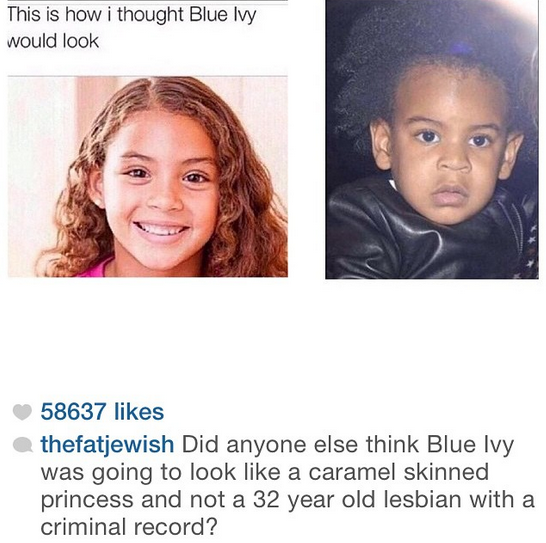 Since the first time Beyoncé and Jay-Z’s first child Blue Ivy Carter was put in the public eye, people have continuously made remarks about her appearance and features. People have ridiculed her hair calling it “nappy” and saying her parents should brush it out. People have said she looks “manly”. People who don’t even have children have criticized Bey and Jay’s parenting skills and judgement when it comes to how they choose to take care of their own child. The hate that black children with darker complexions or nappier hair face is atrocious, regardless of whether or not they have social status. People continually romanticize mixed babies because they believe they’ll come out with a caramel complexion or will have 3b hair texture, but when they come out with 4c hair or skin the color of milk chocolate, they’re suddenly “too black”. The “too dark for my liking” and “pretty for a dark-skinned” agenda is tiring and we shouldn’t still be having these discussions in 2018. Black does not equal ugly.